Jodie Pickles has been promoted to Branch Officer. 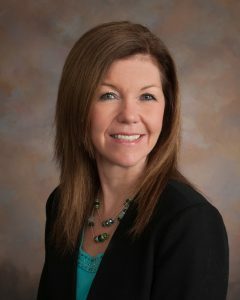 Jodie has been with Pentucket Bank for 9 years, and brings 35 years of banking experience. Her previous position was Universal Associate in the Bank’s Westgate Branch. She graduated from Northern Essex Community College and the New England College of Finance. Jodie has volunteered for many Bank sponsored events such as the Christmas Stroll, VFW Santa Parade and KidsFest. She is a long time resident of Methuen, MA where she lives with her husband. She enjoys spending time at her summer camp in New Hampshire with her family, children and grandchildren. Erin M. Dube has been promoted to Senior Credit Analyst. 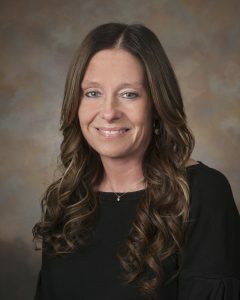 Erin has been with Pentucket Bank for 2 years and brings 25 years of industry experience. Erin attended Northern Essex Community College, and is a board member for the Haverhill YMCA. In her new role her responsibilities will include assessing credit requests for commercial loans and producing recommendation based on a variety of factors; including analysis of client financial information, cash flow history and current debt. Erin enjoys spending time with family and has been a long time resident of Haverhill MA. Pentucket Bank was established in 1891 as a mutual savings bank and in 2016 restructured as a mutual banking organization under a mutual holding company. The Pentucket Bank Mutual Holding Company is governed by the Board of Trustees as elected by the Bank’s Corporators. Pentucket Bank, with assets of approximately $700 million, offers six full service community banking offices; three in Haverhill, MA, one in North Andover, MA and one in each Hampstead and Salem, New Hampshire. In 2017 Pentucket Bank expanded their Executive Offices to the fourth floor of the new Pentucket Bank Plaza building at Harbor Place in Downtown Haverhill. For more information visit www.pentucketbank.com.